Hi everyone, and welcome back to My Week Unwrapped! If this isn’t the wordiest roundup ever, please forgive me as I’m a bit sleep-deprived. But at least I’ve been busy with some really fantastic games this week! First off, I was fortunate enough to play Adriaan de Jongh’s Hidden Folks a bit ahead of release. It’s a charming interactive Where’s Waldo-like game with a strong puzzle aspect to it. I thoroughly enjoyed my time with it and you can read my full review here, and my walkthrough guide here. I did something different with my walkthrough this time, giving hints on the first page for those who just want a little help without the full answers. Check it out and feel free to give me any feedback about it. Loju’s Causality is another game I simply adore. I spent about a week with it already and enjoyed every second of it. It breaks my brain in ways no other puzzle game has before. And it still manages to be incredibly user-friendly. I’ve nearly completed the game, so I wrote up my full review here. I’m also working on a walkthrough if you need help. But it’s much more satisfying to solve on your own! Blue Wizard Digital’s Slayaway Camp is another turn-based puzzler with some really clever mechanics. Perhaps its biggest selling point for some will be its gory slasher film theme. It goes all out with the horror movie humor, creative deaths, and unlockable characters. While it was originally meant to be free with in-app purchases, I’m glad they decided to make it premium. There doesn’t seem to be any reason to even be concerned about in-game currency unless you need hints. And they’re given out very freely. While I’m not a big fan of the boxy Minecraft look — I prefer Causality’s visuals — it does allow the game to be gory without being too gruesome. So while I don’t necessary enjoy looking at it for long periods of time, I do appreciate what they’ve created here. Even though it looks like just another sliding block puzzler, the puzzles are solid, introducing new mechanics every few levels to keep things interesting. The most unique aspect of the game is the way the campers can be scared so they run off in a different direction. You need to manipulate them and then use them to form your path, killing them all and making it to the exit in the end. It allows for some pretty devious puzzles. But the game is very player-friendly with its undo button that works even for death and the ability to skip levels if you’re truly stuck. And there’s a killer of the month club! I love playing as a jelly cube! If you like sliding block puzzles, definitely check it out. And you can see the walkthrough I’m working on here. I picked up Three Story House’s Ink Spotters 1: The Art Of Detection because it sounded like an interactive story with puzzles that would make me feel like a detective. I even heard comparisons to one of my favorite games of all time, Her Story. Unfortunately, it was the most underwhelming and disappointing experience I’ve had in a long time. When I first booted it up, I got stuck on the tutorial for a bit because the game showed me a comic book panel of Sherlock Holmes with the word “CHEETAH” highlighted. It told me to guess a word to unlock the next panel and I assumed “cheetah” was the clue, although I didn’t know how. After some attempts like “cat” or “spots” or “cheater,” the game suggested “CHEETAH” and I nearly threw my iPad across the room. I did not for one second think the answer would be the word they bolded for me. I thought that was the clue! The game crashed in middle of the tutorial, though, so I scrapped that video and made a new one, which you can see below. The entire game is not much more challenging than the tutorial I explained. They sell it as a game that will put your sleuthing skills to work, but all you do is look at a panel, try typing in some of the words you see to unlock more panels, out of order. Occasionally you’ll need to use a visual clue, such as “carriage,” but it doesn’t get much more challenging than that. The story itself is also highly predictable, short, and didn’t benefit from reading it out of order the way Her Story does. The only things this “game” really has going for it are the visuals and sound effects. If you’re looking for a compelling Sherlock Holmes experience, this is not it. I would not recommend it unless you’re a die-hard Holmes fan and must have everything with his name on it. And finally, Pokémon Go got eighty new Pokémon from the Johto region. Since it was in the 60s here today, I took a nice long walk and caught some new Pokémon. Despite the battery issues and lack of real battles, I have to say it’s nice to have some new Pokémon to hunt after. I won’t go looking for them on the freezing cold days, but I like checking what’s around me while I’m out and about on a nice day. Check it out if you got burnt out on the game in the past. 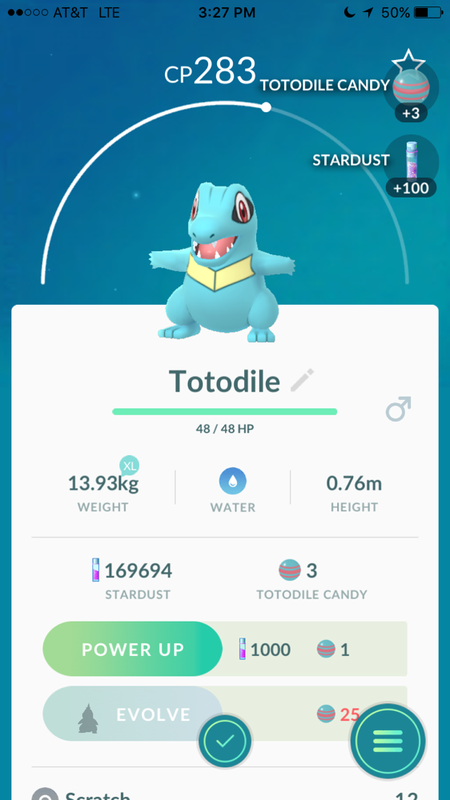 New Pokémon make a big difference! And that’s everything for this week! Light on quantity but not on quality! Let me know what you picked up and how you’re enjoying them! And I’ll see you back here next Saturday with more games!